The Sorell is a three bedroom plus study plan from the Country kit homes Urban collection. Designed for the skinny suburban block, this plan is 14 metres wide which includes a double garage at the front. The plan separates the master bedroom precinct from the living and smaller bedroom areas. It has an ensuite and walk in robe and immediate access to the study. The open plan kitchen, dining and living area opens to an alfresco patio at the bottom end of the house. The second and third bedrooms are semi-separated from the living area and have a full sized bathroom and separate toilet. 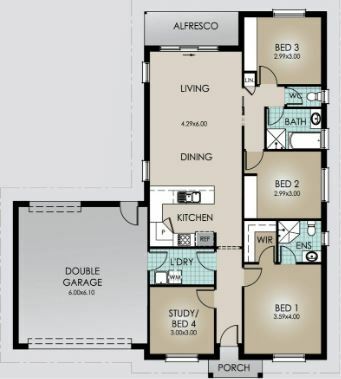 The plan has 170sqm under roof including garage and alfresco area and is priced at $95,300 for a full kit, including kitchen & appliances, a laundry, hot water system, and bathroom PC items. 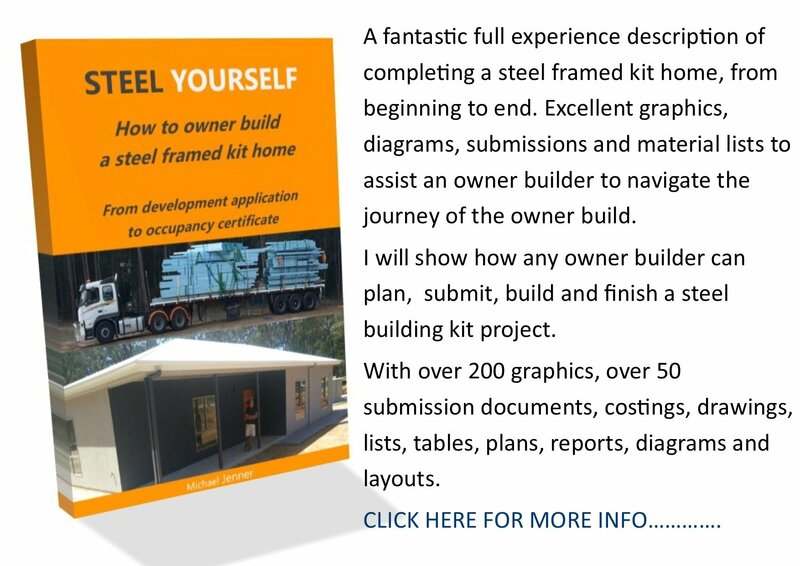 This price is for a wood frame and hardiplank cladding, but upgrades to steel frame, and brick or even hebel cladding are available and set out in their price list. Good value and worth a closer look. The Country kit homes site is here. 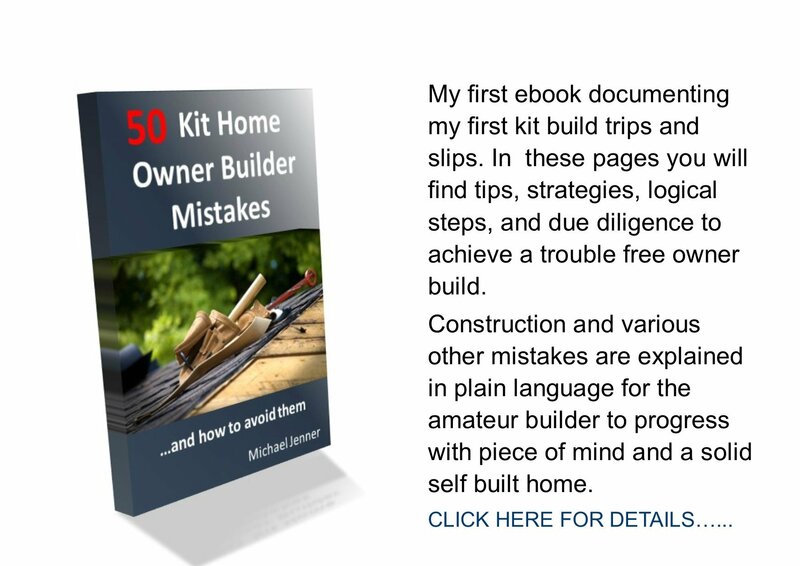 Find more kit home plan reviews here or return to kithomebasics home page.